Android phones, with its various updated versions engulfing the technology, are coming up with striking improvements in terms of performance, security, etc. Yet people explore and experiment with other operating systems on their smartphones. It’s been long since Linux lovers have been waiting for the launch of Ubuntu smartphones. 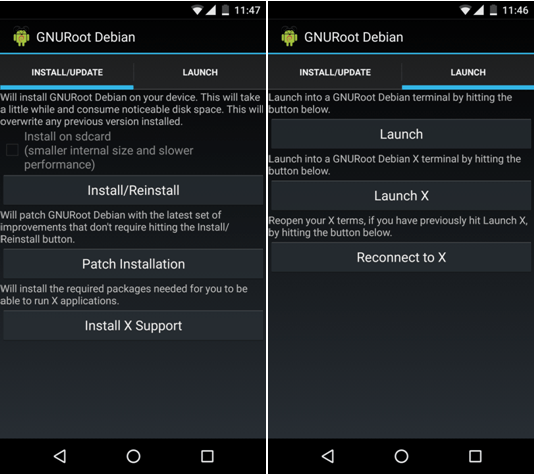 Rooting your device is not the only option to install Linux on Android. Following are the steps you need to take up for the installation purpose. Once you get it installed, you will experience a Linux desktop environment on your Android smartphones. Play Store is our favorite place on Android devices! This is Google’s App Market portal for numerous applications, among which one is the GNURoot. 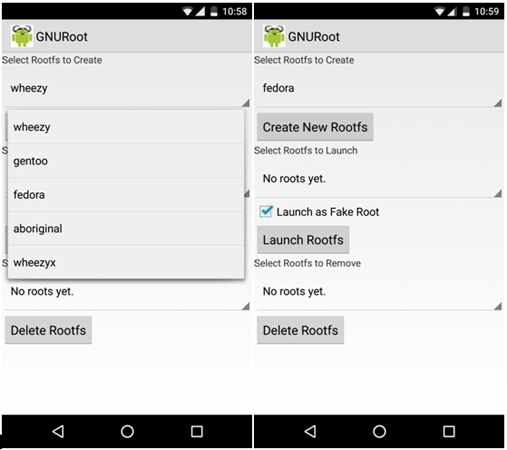 The GNURoot app installs a fake root file system of Linux on your Android phone, which is an alternative to rooting your phone with Linux OS. Thus, search for GNURoot on the Google Play Store and tap install. We all know that Linux comes up with various distros such as Fedora, Debian (Wheezy) and Aboriginal. GNURoot offers them in a drop-down list. After installation, you just need to select the Linux distro you wish to operate on. Note that, Linux distro can be deployed with the help of choosing the Rootfs (Root file system). 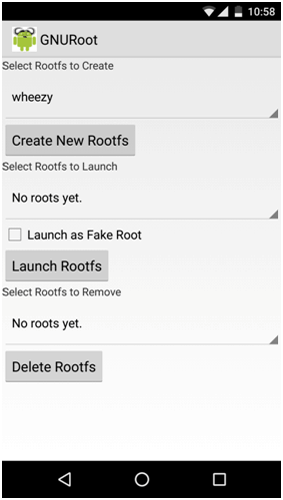 When you are done with selecting the Rootfs, you need to launch the fake root. Just tick the checkbox and tap on Launch Rootfs. Below it, you also have the option to eliminate a rootfs by selecting the one you do not wish to continue operating on. Linux is well known and appreciated for its Package Management System. So, begin installing the required software and tools through a package manager. Thus, you are now ready to work with Linux on your Android phone; absolutely without rooting your device! There’s another similar method: Instead of installing the general GNURoot app, you can go with specific GNURootdistro app such as GNURootDebian, GNURoot Fedora and so on, if you want to work on an individual Linux distro. Consider your wish to install Debian on your phone. Primarily, install the GNURootDebian App from the Play Store. Ensure that you have enough space for its storage. Then, install the Debian patch by tapping on Patch Installation as shown above. Next, you just have to launch into GNURootDebian. That’s it; here you go! So here were the steps to install Linux on Android. If you follow the steps properly you will explore the world of Linux in your Android device. It’s a good treat for those who want to experience a Linux OS on their smartphones. Do you have any other techniques, do not forget to share with us. Hello Aishwarya, very interesting article this is. Will try this method and check, thanks for sharing this method dear. This seems interesting, I will definitely give it a try, thank you for the post. 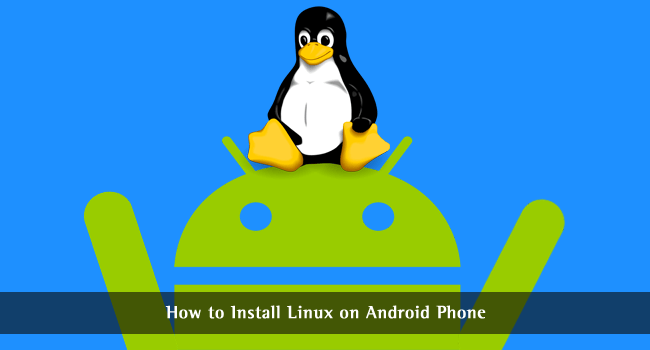 A detailed step by step guide to install Linux on Android phone. Thanks for the post. Very helpful. It’s an advantage of Android device that you can customize it according to your needs. Installing Linux on Android can be very useful for many people out there. Thanks for this step by step tutorial on how to do that. Great post I will definitely Install Linux in my Android phone after reading this post. No, there is no need to unroot. That’s the method without unrooting your Android device.